Games Games Games................ That's what this is all about. Assassin's Creed: Brotherhood is a 2010 historical fiction action-adventure open world stealth video game developed by Ubisoft Montreal and published by Ubisoft. It is the third major installment in the Assassin's Creed series, a direct sequel to 2009's Assassin's Creed II, and the second chapter in the 'Ezio trilogy'. The game was first released on the PlayStation 3 and Xbox 360 in November and December 2010, and was later made available on Microsoft Windows in March and June 2011. The game received critical acclaim along with multiple awards including a BAFTA award for Best Action Game. 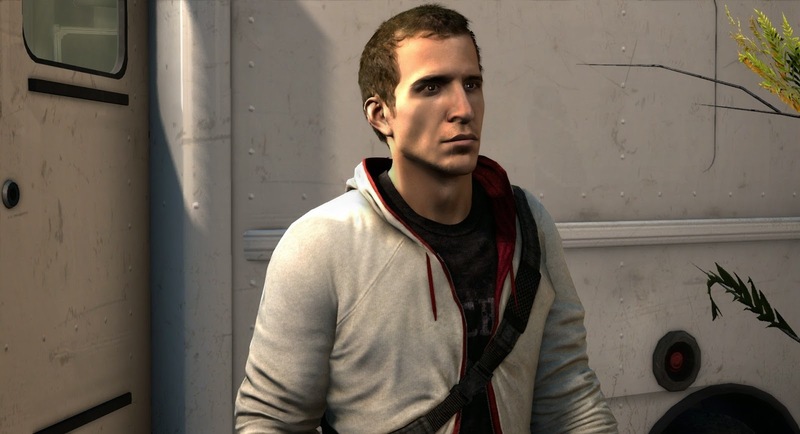 It was followed in November 2011 by Assassin's Creed: Revelations, a direct sequel that served as a conclusion to Ezio's story and continued the story of Desmond Miles. 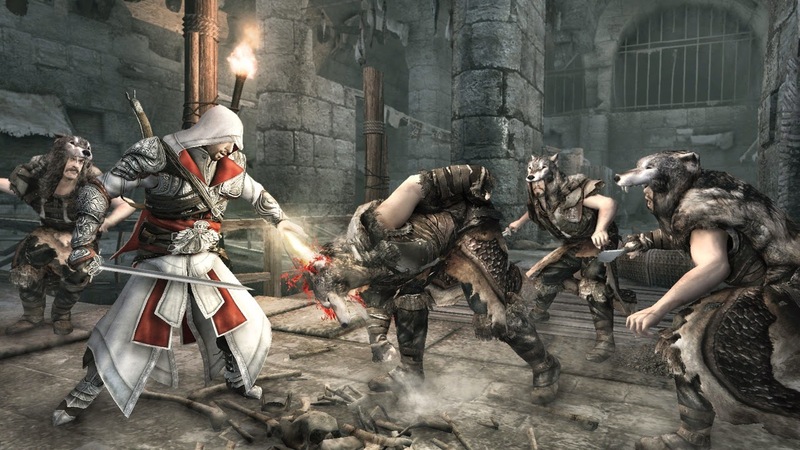 Assassin's Creed: Brotherhood is an action-multiplayer mode alongside 15+ hours of single-player gameplay. 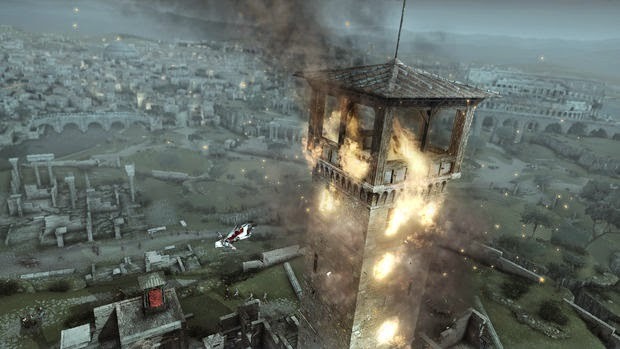 The game introduces a new management system: the player can recruit new members by destroying any of twelve "Borgia towers" around Rome where papal troops are stationed, then rescuing disgruntled citizens in their districts from harassing guards. 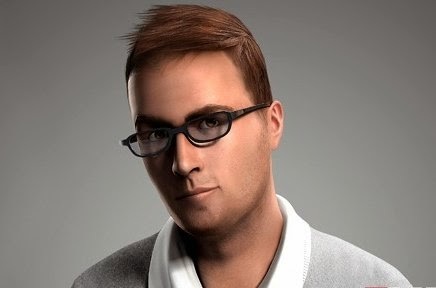 The player, as Ezio, can then send them to assignments around Europe or call them for support during missions (if they are not already occupied). 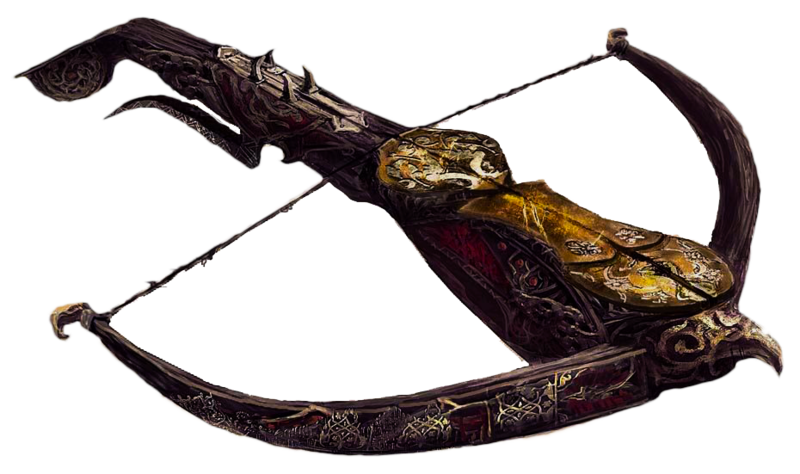 Tasking the novice Assassins makes them gain experience, and the player is able to customize their appearance, skills and weapon training to some degree by spending the skill points they have earned. Assassins can die on missions, from which they will not return. 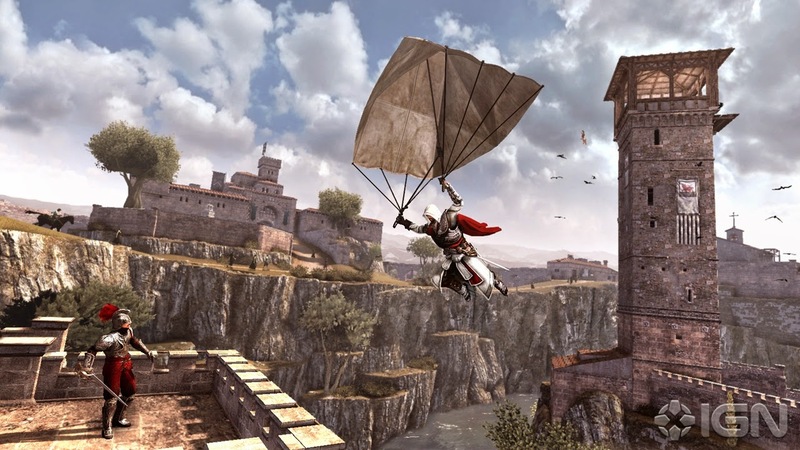 Ezio masters new gadgets, such as Leonardo da Vinci's parachute, which can be used when jumping from tall buildings, along with poison darts, a faster acting poison, a crossbow, and the ability to hold and throw heavier weapons like axes. The primary setting is Rome, which has fallen into ruin due to the corrupt rule of the Borgia papacy and the Templars over the Papal States and concentrating all the wealth in the Vatican. Just like the town of Monteriggioni in Assassin's Creed II, the player is able to invest in the city and witness its development and unlock rewards. The player has to conquer and destroy Borgia towers to free city zones from the family's influence. Completing this unlocks new missions and opportunities. Rome is the biggest city ever created after the first two installments (Rome is three times bigger than Florence from Assassin's Creed II) and includes five varied districts: Vatican (Vaticano), Central (Centro), Trans-Tiber (Trastevere), Country (Campagna) and Antique (Antico). Unlike the previous installments, travel between different cities or regions is no longer present, as most of the action in the game takes place around the city of Rome. Instead, a series of tunnel networks throughout the city allow the player to travel to different sectors of the city with ease. However players will be able to explore the entire city of Rome, visit the harbour of Naples, a part of Navarre, Spain, and Monteriggioni in the present day. The combat system has been modified. Striking first and offensive actions are more deadly in Brotherhood than previous games where counter-attacks were the most efficient. Before, this made the player wait until the AI struck, which slowed down the pace of fighting. The AI in this game is thus more aggressive and enemies can attack simultaneously. 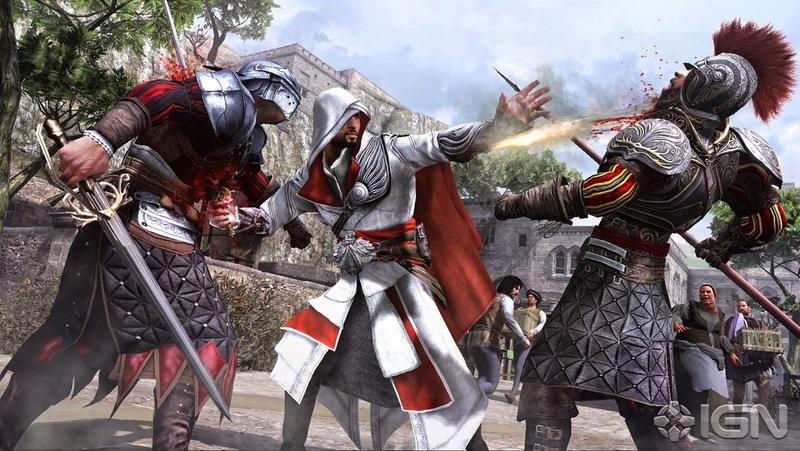 To dispatch them, Ezio can use melee and ranged weapons at the same time, as well as introducing the hidden pistol in combat. After killing one enemy the player can start an execution streak to dispatch multiple enemies quickly. Ezio can throw heavy weapons (axes, spears, and swords) at his enemies. There are new enemy archetypes in addition to those seen in Assassin's Creed II such as horsemen,arquebusiers, papal guards and others. Horses play a larger role in Brotherhood, not only used as a means of transport (inside the city for the first time), but as a component of acrobatic sequences and advanced combat as well, allowing ranged weapons to be used while riding them. Brotherhood also introduces various types of horse-related assassinations, featuring horse-to-horse assassinations. There are environmental objects like the flower pot in Assassin's Creed II to move faster inside the city (a system of tunnels around the city allow fast travel), as well as new objects such as merchandise lifts to quickly climb up high buildings or structures. Ezio's story continues in 1499, where he exits the Vault, confused by what he saw inside. 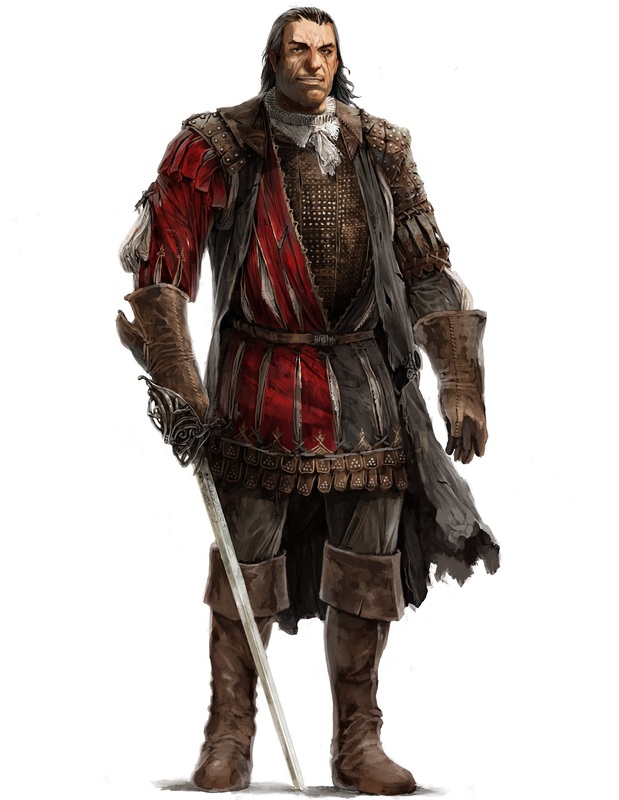 He escapes Rome with his uncle Mario Auditore and arrives at Monteriggioni. Once home, Ezio is comforted by the prospect that his personal vendetta is over; however, Niccolò Machiavelli challenges Ezio's decision to leave Rodrigo Borgia, now Pope Alexander VI, alive. The following morning, Monteriggioni is besieged by Cesare Borgia, son of Rodrigo. Mario is killed at the hands of Cesare himself, and the Apple lost to Cesare and the Italy, once again seeking vengeance against the Borgias. There, he discovers that the Assassins are failing in the fight against corruption. Determined to redeem the Guild, Ezio convinces Machiavelli that he has what it takes to lead while assembling a Brotherhood powerful enough to destroy the Templars and his new nemesis, Cesare. During the next four years, Ezio executes tasks meant to cripple the Borgias' hold in the capital, sabotaging Cesare's resources and assassinating key people close to and/or working with him in the process, and slowly restoring Rome to its former glory. 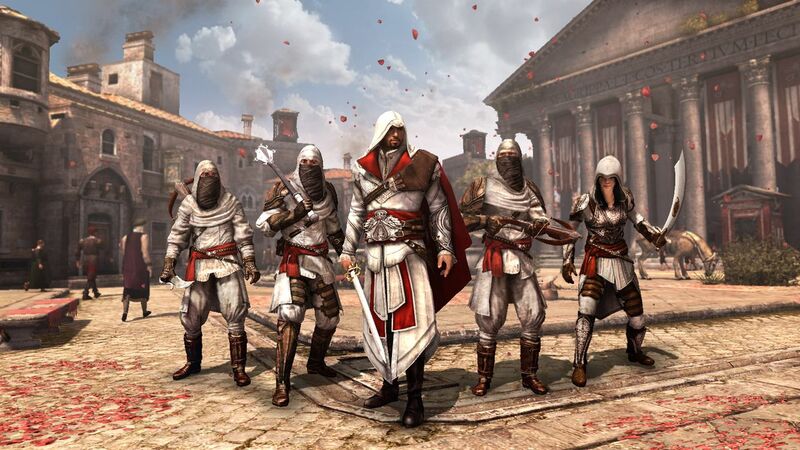 Ezio is then made head of the Order and promoted to the rank of Il Mentore (Italian for "The Mentor"). During this time, Ezio's sister Claudia is made an Assassin. Cesare, learning of Ezio's actions, confronts his suspicious father and desperately asks for more money and the Apple itself. Rodrigo refuses and attempts to poison him, realizing that Cesare's lust for power can't be held at bay. Cesare, however, turns the tables on his father and kills him instead. Ezio witnesses this and, after learning of the Apple's location, retrieves it from within St. Peter's Basilica. 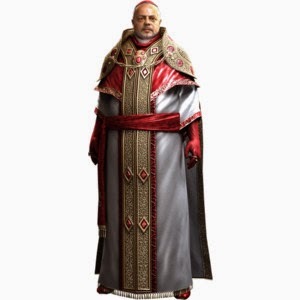 Ezio uses it to overwhelm Cesare's forces and withdraw the backing of his supporters; Cesare is finally arrested by Pope Julius II's Papal Army after Ezio and the assassins confront him and kill his remaining followers. Ezio uses the Apple once again to check on Cesare, who breaks out of prison and has laid siege in Viana, a small city in Navarre, Spain. He encounters Cesare on the battlements of a crumbling castle and fights him. Cesare claims that he cannot be killed by the hand of a mortal man, thus inciting Ezio to leave him "in the hands of fate" by dropping him off the battlements to his death. Ezio then takes the Apple and hides it in another temple built underneath Santa Maria in Aracoeli. 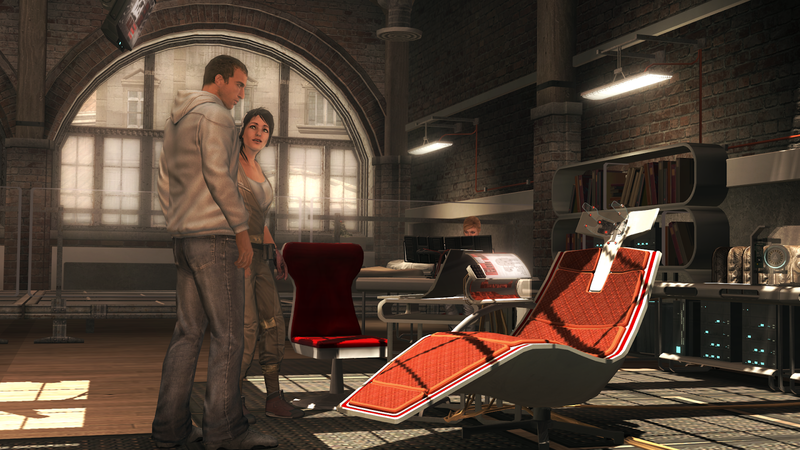 Using the coordinates taken from Ezio's memories, Desmond, Lucy, Shaun and Rebecca travel to the temple, intending to use the Apple to locate the remaining temples to keep the other Pieces of Eden out of the Templars' hands. As Desmond makes his way into the temple, he is confronted with holographic apparitions of a being called Juno, who appears to be of the same race as Minerva; however, she is neither audible nor visible to Lucy, Shaun, or Rebecca. Most of her comments center on humanity's lack of knowledge. She states that humanity is "innocent and ignorant;" that people were not built to be wise, having been given only five of the six senses: sight, smell, taste, touch, and hearing, but lacking knowledge. Her careful cadence then drops, as she suddenly becomes angry, yelling, "We should have left you as you were!" As Desmond approaches the Apple and touches it, time freezes around him, though he can still move and speak. Juno cryptically says Desmond is descended from her race and their enemy; she also says there is a woman who would accompany him through "the gate," but must not be allowed to. She takes control of Desmond's body and forces him to stab Lucy in the abdomen. Both fall to the ground, with Lucy dead and Desmond entering a coma. As the credits roll, two men are heard discussing whether to put Desmond back in the Animus. 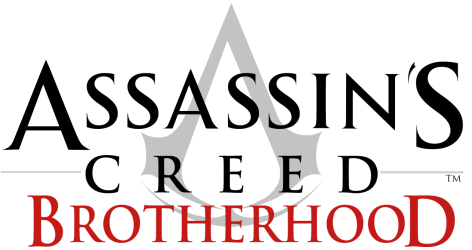 Assassin's Creed: Brotherhood was developed by Ubisoft Montreal. 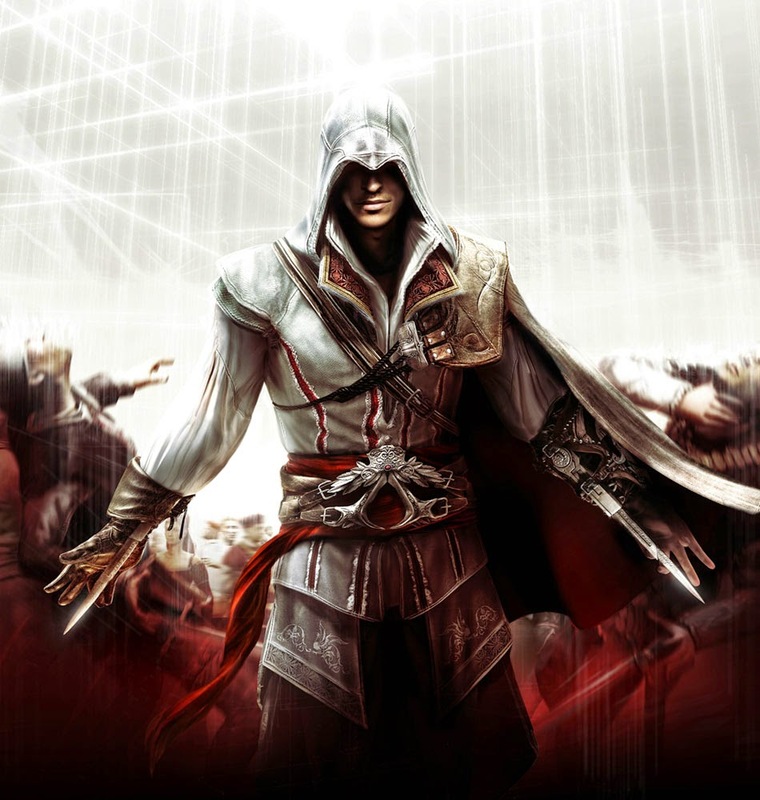 Montreal also worked on both of the other main Assassin's Creed games in the series and was thus chosen to lead production for the third installment. 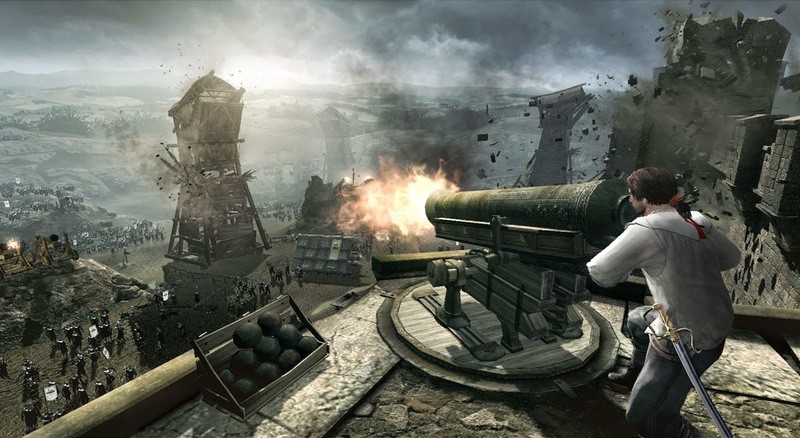 A new Assassin's Creed episode featuring multiplayer was announced during Ubisoft's 2009 fiscal third quarter results while not revealing its name. In early May 2010, a GameStop employee published on the internet some images of a pre-order box featuring the Assassin's Creed: Brotherhood title while Ubisoft was teasing the game on Facebook and Twitter. Ubisoft then confirmed the authenticity of these pictures. Brotherhood has not been numbered unlike Assassin's Creed II because players, and even developers themselves would have expected a new setting and a new ancestor while this is only the continuation of Ezio's story. The game was developed primarily by Ubisoft Montreal in Canada. Production was aided in part by four other Ubisoft developers: Annecy, Singapore, Bucharest and Québec City. The multiplayer mode is mainly developed by Ubisoft Annecy, the studio responsible for creating multiplayer mode in Tom Clancy's Splinter Cell: Chaos Theory. Ubisoft also announced plans for downloadable content (DLC) after the game's launch. Two sets of free DLC have already been released under the names "Animus Project Update 1.0" and "Animus Project Update 2.0". The first includes the new map Mont Saint-Michel and one new mode,Advanced Alliance. The "Animus Project Update 2.0" was released in January 2011, was also free, and included another map, mode and the introduction of a player grading system. From the perspective of performance, Ubisoft have commented that they hope the gaps between the PlayStation 3 and Xbox 360 versions will be even smaller with Brotherhood. The music in the game was composed by Jesper Kyd, who created the scores to previous Assassin's Creed games. The soundtrack was released digitally on November 16, 2010. A physical CD-DA release of the soundtrack accompanied selected retail editions. However, the track-listing is altered from the digital release - the CD has 22 tracks, including 3 exclusive pieces, but is missing "Apple Chamber" present in the digital release. available in different regions. There is also a certain number of pre-order bonuses, which may vary, depending on the retailer. Some retailers also offered the access to the multiplayer beta on the PlayStation 3 system as a pre-order bonus. All versions of Assassin's Creed: Brotherhood for the PlayStation 3 feature exclusive free additional downloadable content called the Copernicus Conspiracy which became available on the PlayStation Store on November 16, 2010. Players have access to several new missions featuring the famous Renaissance astronomer Copernicus. Extra content includes courier, assassination and protection missions - Ezio will be tasked with foiling the conspiracy against Copernicus and defending his philosophy. The PC version of Assassin's Creed: Brotherhood was released by Akella in Russia in exclusive Collector's Edition featuring 6 metal figurines of multiplayer characters. 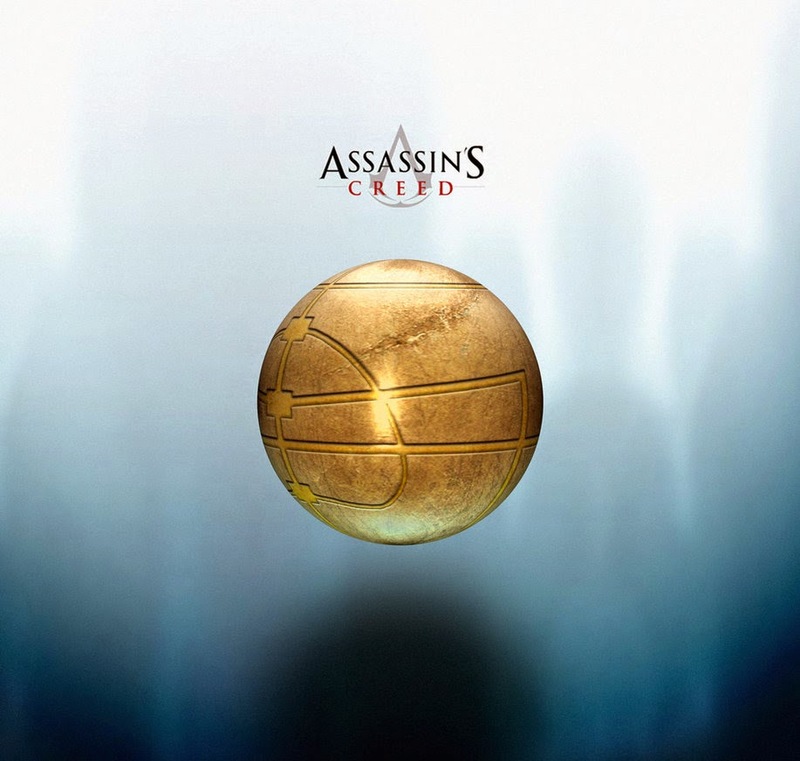 Copernicus Conspiracy is a free downloadable content pack for Assassin's Creed: Brotherhood, released exclusively for the PlayStation 3 on the game's release. It focuses on the famed astronomer Nicolaus Copernicus, who gets into trouble with the Vatican, who do not want Copernicus educating the public about astronomy. The pack consists of eight optional missions, ranging from courier, assassination and protection objectives. The Animus Project Update 1.0 included a new game mode and new map. The game mode, Advanced Alliance, is a version of the Alliance mode, with target identification and engagement more difficult than in the original, thus providing a more challenging experience for players. With three teams of two players each, Advanced Alliance is a tougher test for players and rewards teams that work together. The new map, Mont Saint-Michel, is located on a rocky tidal island of Normandy in France. Its particular topography of narrow streets, high-perched bell-tower and multi-leveled architecture is perfect for hunters and predators alike to surge from out of nowhere to execute their prey. To survive, recruits need to use free-running and narrow roads to their advantage. The Animus Project Update 2.0 included a new game mode and map. The Pienza Map provides a free-running playground with wide-open plaza areas, where predators and targets can quickly blend and disappear, surrounded by narrow alleys and multi-story buildings for extra verticality. In the new Chest Capture multiplayer mode, two teams composed of three players compete as Hunters and Protectors; partnered with fellowTemplars, Hunters will attempt to steal the contents of the chests scattered around the map as protectors attempt to prevent this. Also included in the update is a Templar Score feature to reward diligent work by Abstergo recruits. Advanced Alliance is also packaged with the new DLC, while the Mont Saint-Michel map is not. Only one DLC can be activated at a time, so players will either be missing the new map from the 1.0 update or the new mode, new map and Templar Scoring from the 2.0 update. The story revolves around Leonardo da Vinci's mysterious disappearance. Ezio arrives at Leonardo's workshop with his assistant Salaì and finds him missing. It is soon revealed that Leonardo found a secret vault and his plans were discovered by the Hermetics, members of the Cult of Hermes. Ezio finds writing on the floor that implies he should seek out five of Leonardo's paintings once owned by Ezio at Monteriggioni but now missing. The majority of this sequence focuses on the search for and retrieval of these paintings by Ezio. After finding these paintings, Ezio identifies the location of a new subterranean location in Roma and proceeds there, to find Da Vinci imprisoned by Hermetics. After freeing Leonardo, the two of them find another vault, in which they are revealed the numbers 43 39 19 N and 75 27 42 W. Ezio comments on these numbers "It is not intended for us". At the end of the sequence, two male voices (one is the Assassin, William) are heard commenting that Desmond has fallen into a coma. They also comment "we have a location for the temple" and "then what are you waiting for, let's go." This DLC doubles as the technical Animus Project Update 3.0, with the addition of the preorder multiplayer characters, the Harlequin and Officer, as well as the preorder-only special Drachen Armor for Ezio. Assassin's Creed: Brotherhood has received critical acclaim. Aggregating review websites GameRankings and Metacritic gave the Xbox 360 version 90.55% and 89/100, the PlayStation 3 version 89.92% and 90/100 and the PC version 87.64% and 88/100. It won best Action Adventure game in the Spike TV Video Game Awards 2010 The game has also been nominated for 7 British Academy Video Games Awards in 2011, including Best Game. It won an award in the Action category, losing to Mass Effect 2 in the category for Best Game. The Da Vinci Disappearance add-on, was also met with favorable reviews, and holds a Metacritic score of 75/100. Reviews for the delayed PC version questioned the reason behind the delayed release date as the game was virtually unchanged from the console version albeit with better graphical enhancements and minor bonus content. However most praised Ubisoft's move to remove the DRM that marred the PC version of Assassin's Creed II as well as include all DLC free of charge. The game passed the one million sales mark in less than a week after its release. Assassin's Creed: Brotherhood has become Ubisoft's fastest-selling European title ever. It also had the best Ubisoft's launch in Europe and is the best-selling launch title ever as of November 2010. 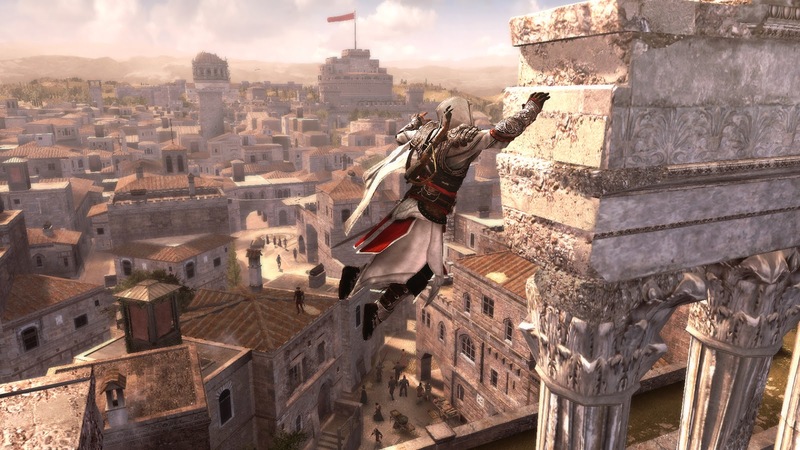 As of May 2011, Ubisoft announced the game had shipped 8 million copies and helped the entire Assassin's Creed series to achieve over 28 million units sold. Assassin's Creed Current Games And Apps List.